As the year closes, end of year reflections are everywhere. SpaceX successfully conducts the maiden flight of its most powerful rocket. The Syrian Civil War rages on. Kim Jong-un crosses into South Korea to meet with President Moon Jae-in. Saudi Arabia allows women to drive. Twelve boys and their football coach are rescued from a flooded cave in Thailand. Apple Inc. is the first public company to achieve a market capitalization of $1 trillion. Another leadership spill in Australian politics. Canada legalizes the sale and use of cannabis. The Camp Fire, California's deadliest most destructive wildfire, ignites in Butte County. There it is, in all its glory (and devastation). Another year complete. But what about reflecting on your own life? You can rely on social media for an algorithmic yearly wrap of everything you were game enough to commit to cyber history. And while all of this is terribly nostalgic, was 2018 really the year you thought it would be? Did you hit the highs you had hoped for? Perhaps there were more lows than you would have liked? 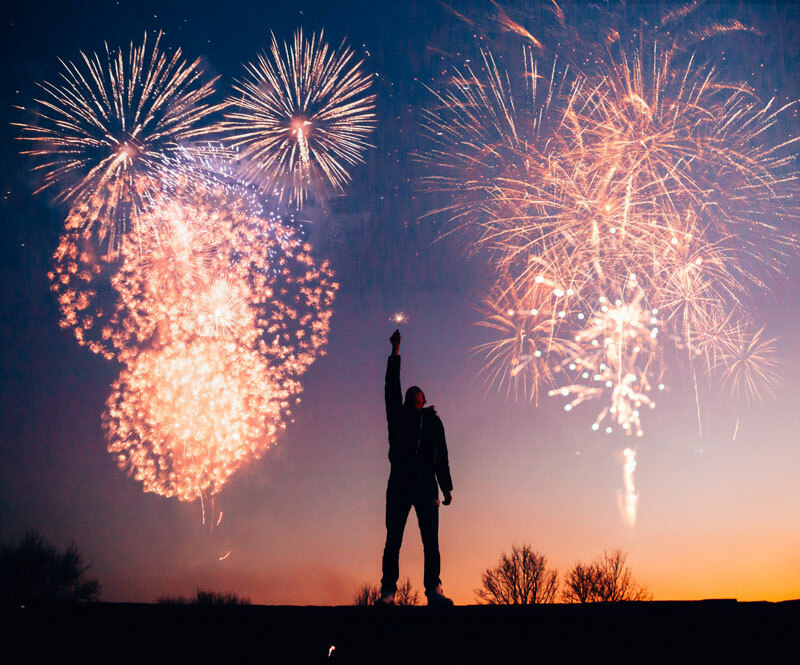 Take some time to ponder the year that was, whether you experienced successes beyond your wildest dreams or became a stronger person for the hardships you endured. Every experience will teach you something, as long as you are willing to learn. Reflecting on what you took from 2018 is the best way you can prepare to make 2019 an even better year. 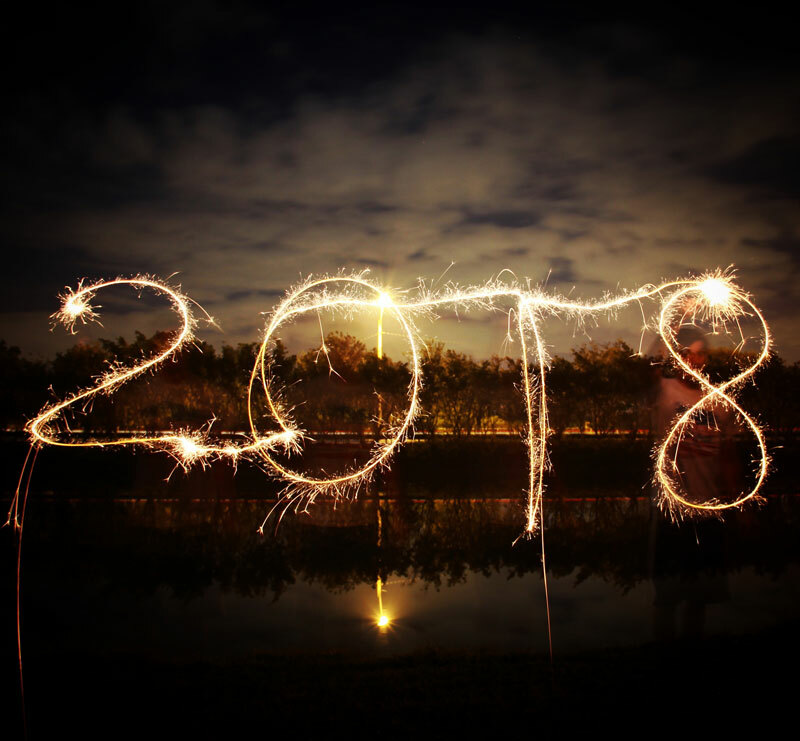 To help you reflect on your year that was, we have put together some questions, activities, and resources to help you peer into the mirror of 2018. You will notice that a lot of these exercises revolve around the written word, but for good reason, committing these valuable reflections to paper make it easy to revisit your memories, achievements, and regrets in future but even if you never look at them again, research says recording these things really helps to drill them in. This exercise is best for those who are new to the art of reflection. 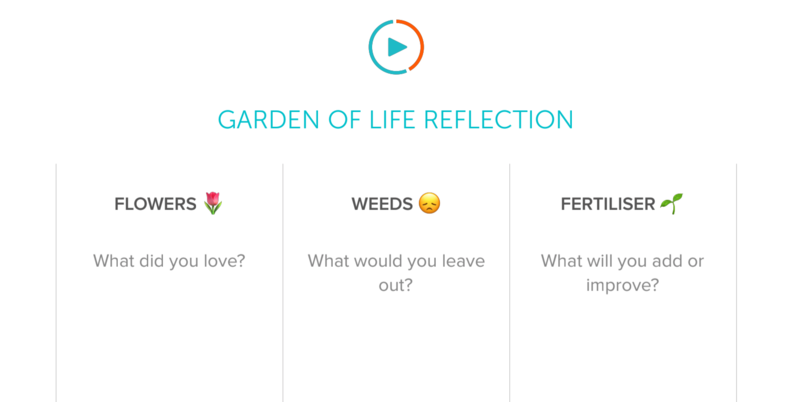 Here is a worksheet to help you with tending the garden of life. How did I grow in the past year? What was the single biggest challenge I overcame? Who needs to be acknowledged in my life? Is there anyone I should express gratitude to for what they have done for me or helped me with over the past 12 months. What were my most memorable, stand-out moments? Pick three words someone close to me would use to describe this year? What was the best thing I learned? What was I most grateful for? What was my single biggest time waster this year? Name a song that would be my soundtrack to the past year. If you want to make this a fun, reflective family/friend discussion write out the questions on pieces of paper put them in a bowl and take turns at answering them. This exercise is best for those who need a little guidance in their reflection or for groups of people who wish to get to know each other a little better. Here is a template to help you with this exercise, there is also a layout for cutting out the questions to use with friends and family. Throughout life we all have moments where we really crave the advice of another human but for various reasons we decide not to ask (fear of sounding silly, acceptance that we are the masters of our own destiny and only we can make the decision, trepidation that it might not be the answer we truly desire). Why not take the opportunity to share a little of the worldliness you have acquired over the past 12 months. 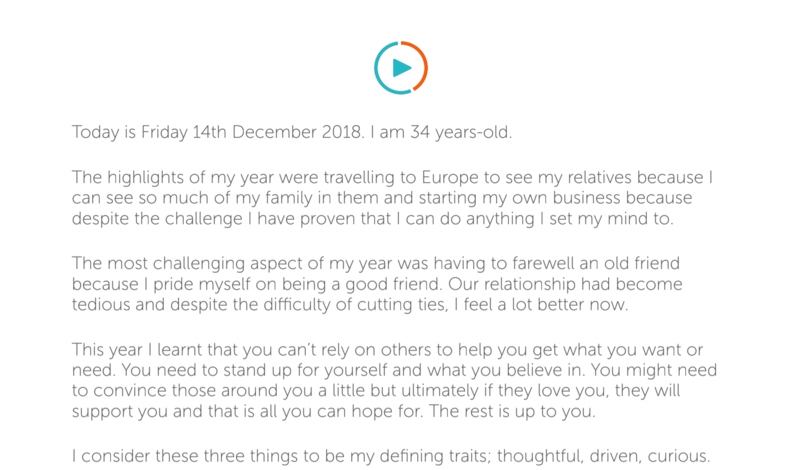 Sit down and write a letter to someone who might benefit from your insights (your children, a niece or nephew, a friend), either now or in the future. Some advice from the lessons you learned. How you have found success or happiness in life. The little things they might be likely to overlook or take for granted. This exercise is best for those who would like to pass on some of the lessons they feel were important in their year. Perhaps someone who feels they would benefit from such a letter themselves occasionally. If you aren't sure who you would write to, you might like to write to your future self. Record some memories, important experiences, what you learned, hopes and fears from the last 12 months and put it away for another day to read over. Here is a rundown of the exercise and an example and here is a template for you to use. Things go wrong, loved ones fall ill, friends part company, we fall in proverbial holes. This might sound very negative after all the exercises that have come before but recognizing what isn't working for you is very positive. What are you holding onto from the past 12 months that is no longer serving you well? What in your life isn't work? What is causing you pain? What is making you angry? Recognize these things and consider what holding on to them brings you. None of the things that grate us have a positive impact on our lives and holding onto them definitely doesn't have a positive impact on those around us. Letting go is important to create space for new experiences, shed the excess baggage. Write all the things you want to let go of on a piece of paper. Accept it bothers you but that you can't change it. Practice compassion. Understand that behind everything that frustrates you is another person who has a reason for behaving the way they do. Release yourself from the burden of resentment. From now on, be aware of the present moment and enjoy it. The exercise is best for people who find themselves focusing all their energy outward. You are tired, you are irritable, you need to release.